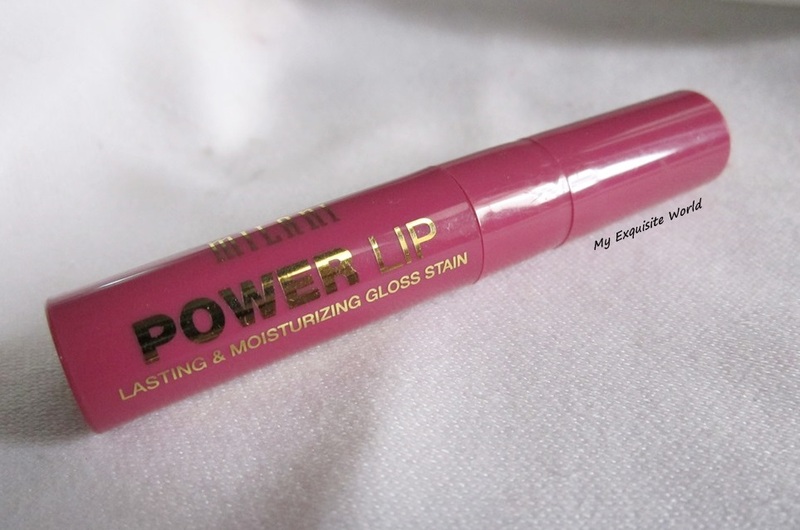 ABOUT:Power Lip Lasting & Moisturizing Gloss Stain combines the shine of a gloss with the long wear of a stain. 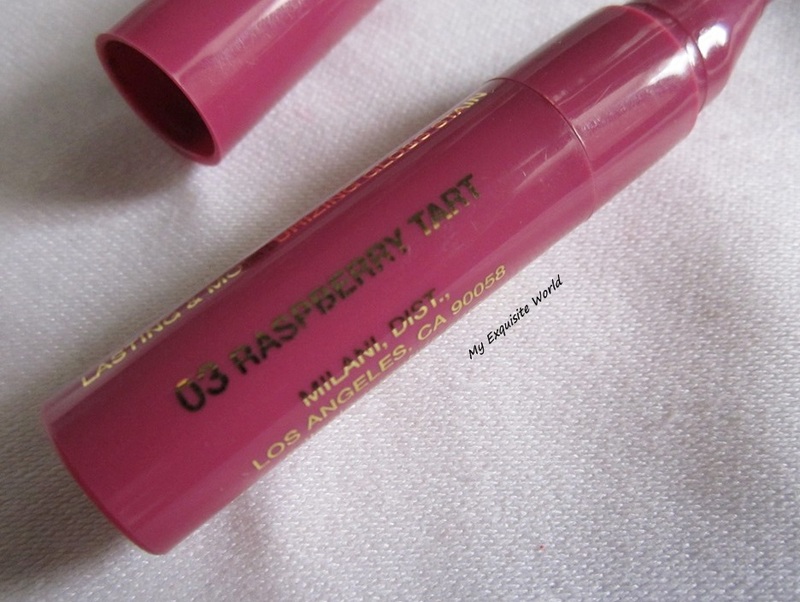 When first applied it goes on like a high-shine gloss, and then wears to a rich stain that lasts. Formula cushions lips and provides a non-drying, comfortable wear. 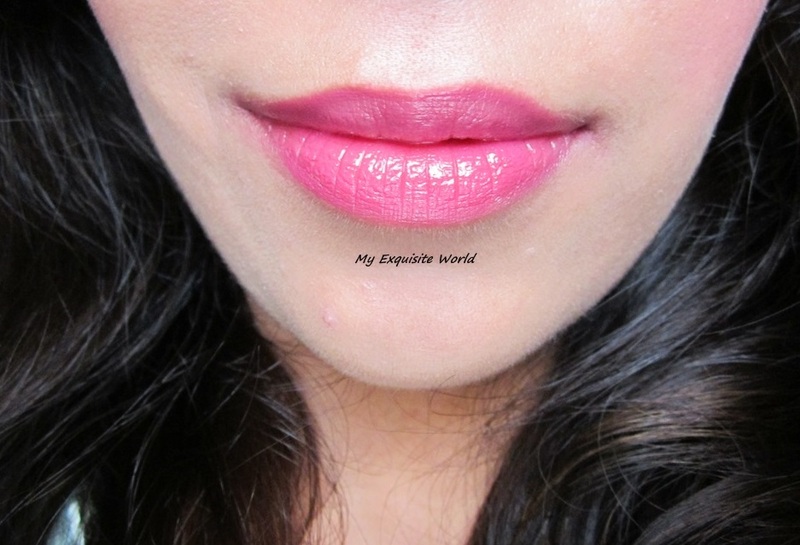 Get the power of a bold lip in just one click! Paraben-free. 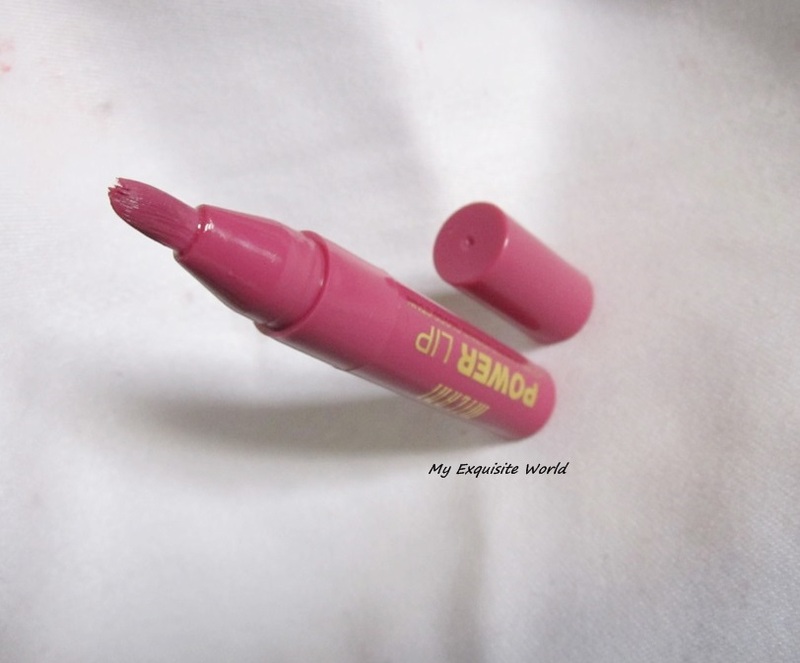 PACKAGING:The packaging is cute with a same shade outer pen style covering having a twist up mechanism to bring out the colour.The bristles of the gloss packaging are quite stiff and helps in even application. 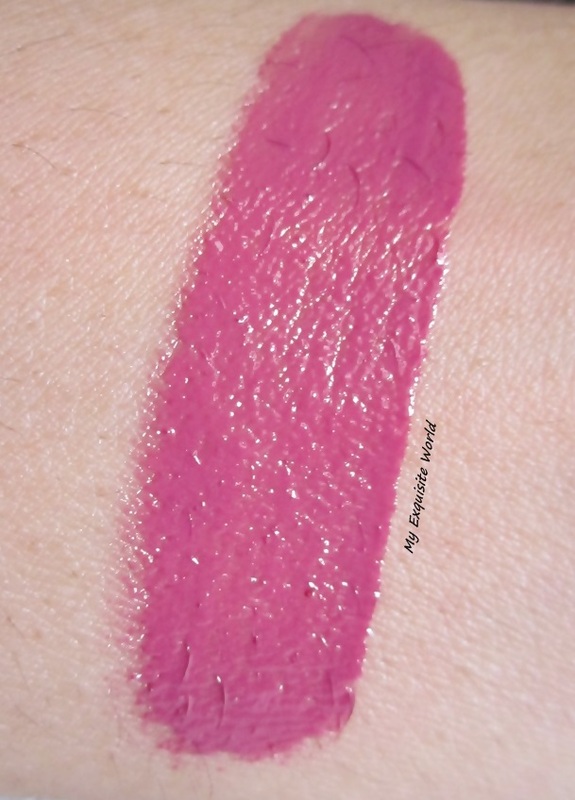 SHADE: Raspberry Tart is a stunning mauve with berry tones.Looks like,I am loving mauves and berry shades a lot these days.It is creamy and very smooth in application. 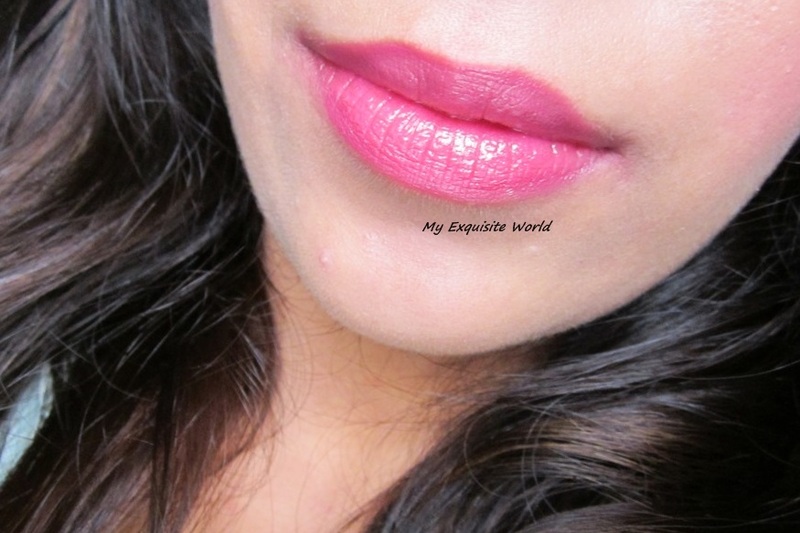 MY VIEWS: The lipstick has a glossy-liquidy formula.Its like liquid lipstick.It not very runny,it’s quite thick actually which keeps the lipstick in place.It not very sticky but I feel that I have put something on lips. 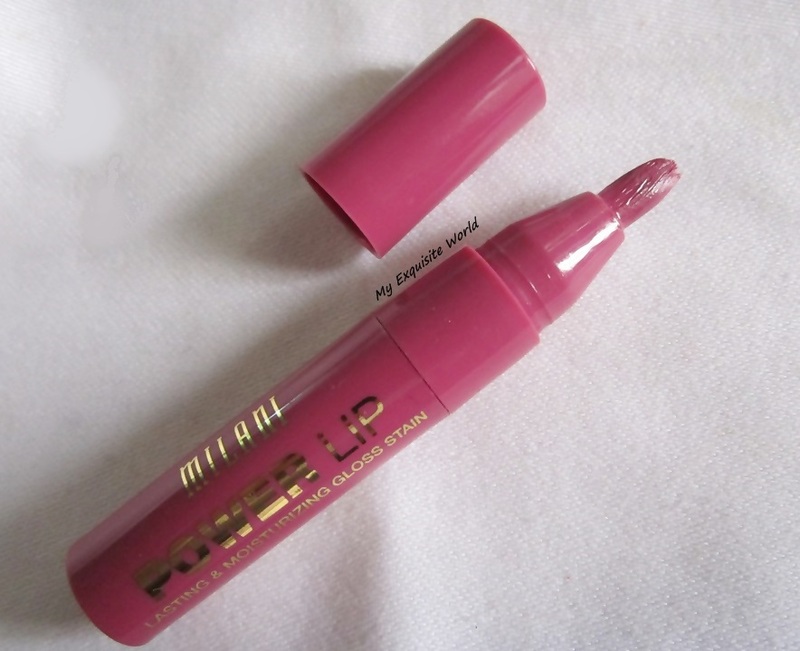 The shade is insanely pigmented and one swipe is all that is needed.It stays for good 6-7 hours with minor feathering but its does leave a stain behind.The shade brightens up my skin and adds vibrancy to the face.It feels comfortable on lips though a little feeling of heaviness!! RECOMMENDATION: Love the shade and the formula.Highly recommended!! 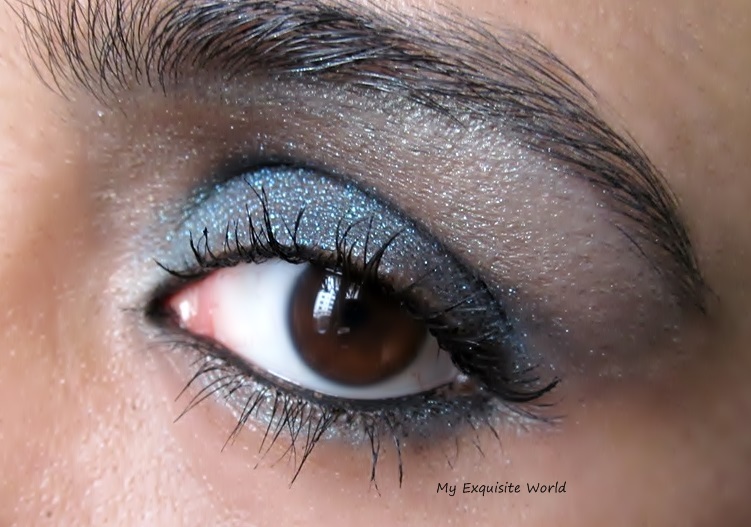 Now,this is a gorgeous turquoise blue that no one can resist.Read the review and take a look!! 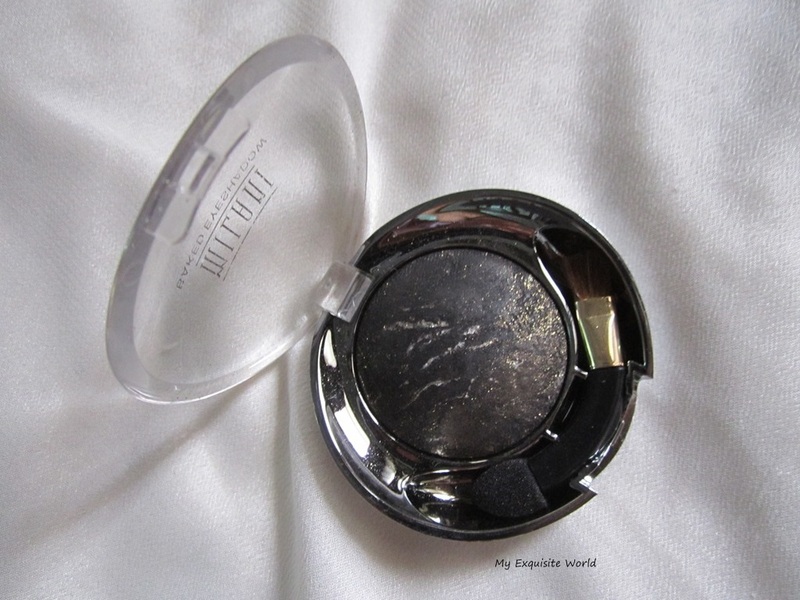 About the product-Captivating eyeshadow powder that features multiple infusion of colours baked on Italian terracotta tiles.All of these gorgeous combinations are designed to be used Wet or Dry. Available in 6 Marble shades. 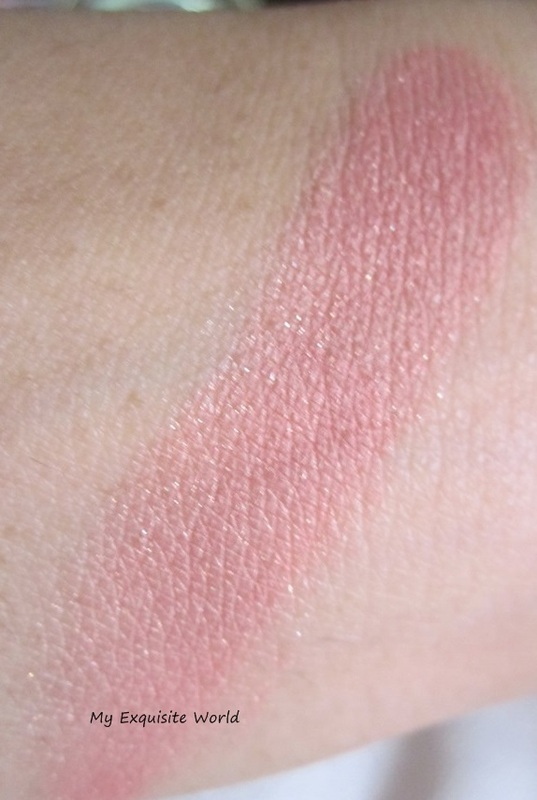 Tips and tricks: use dry for a silky smooth application of luminous color. Use wet for a lasting more intense color effect. I got it for $6.99 + shipping charges from Cherry Culture. 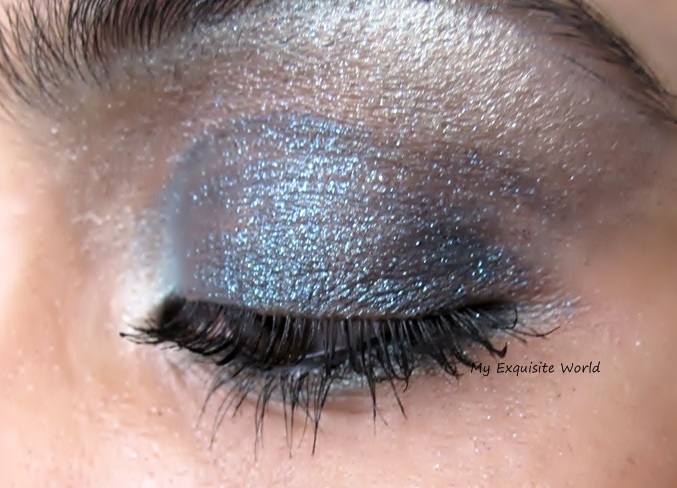 Shade- Mix it up is a gorgeous blackened turquoise with silver shimmer.The shimmer is a bit too much and looks glittery. 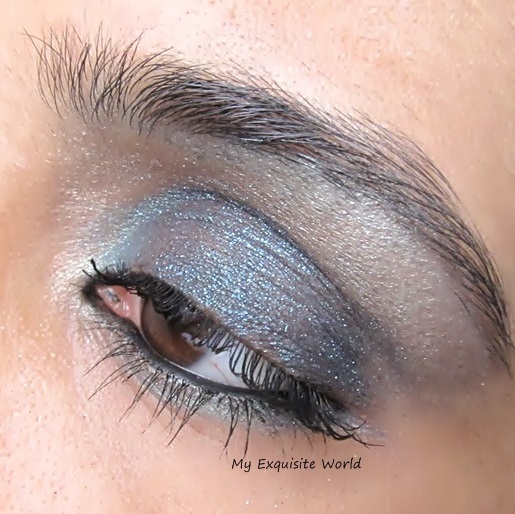 My Views:The texture is soft and didn’t irritate my sensitive eyes. The packaging is quite sturdy,lid is secure. The sponge/brush applicator is of no use.The bristles are a bit scratchy and sponge is thin. 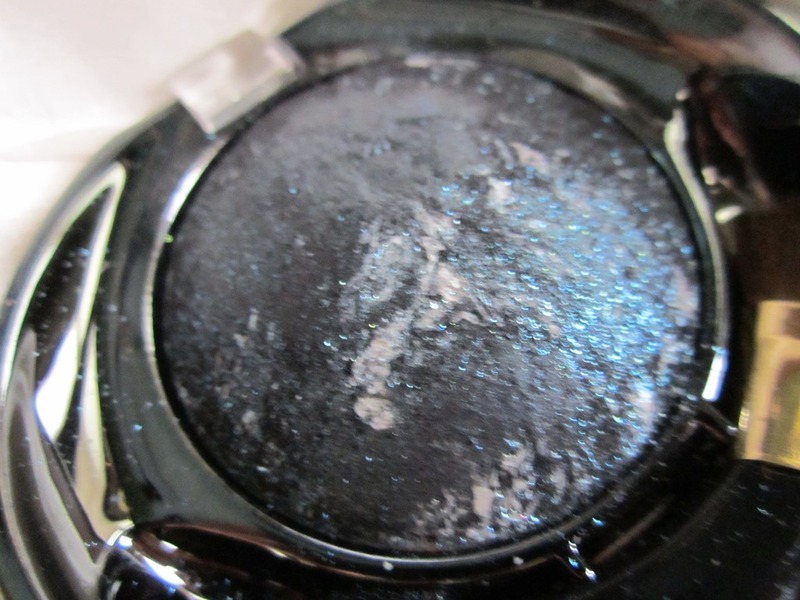 The shimmer present is not gritty but you can feel it when it is applied on eyes.It gets more intense when used wet.Though the shade is quite pigmeted in drt form too. 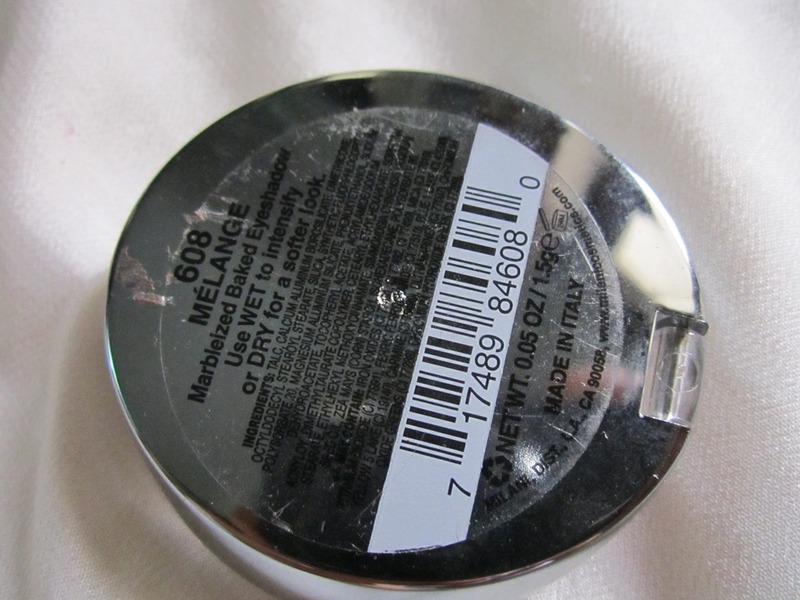 It stays for about 5-6 hours on lids without a primer.But,I think it will fade early on oily lids.It blends weel with other products!! ~can be used wet and dry. 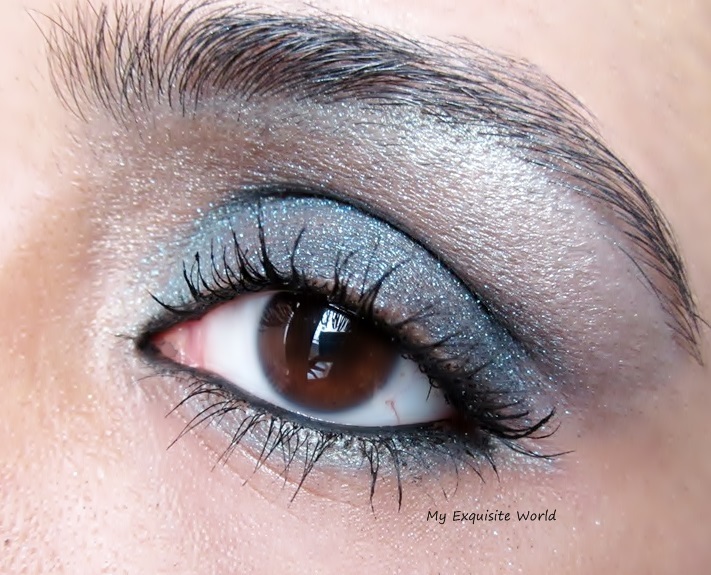 ~serve dual purpose as an eyeshadow and coloured eyeliner. ~has a bit fallout when used dry. ~ the applicator is of no use. ~not available in India and has to be ordered online. 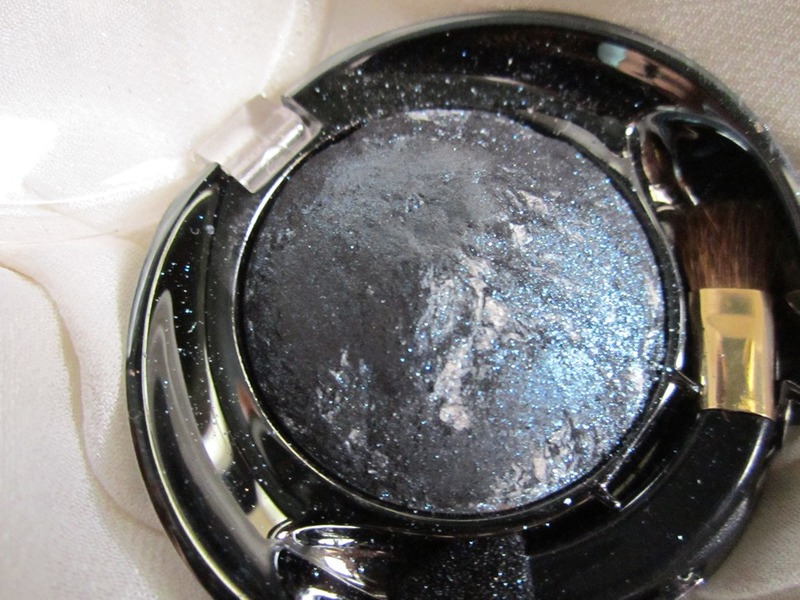 Recommendation- I love the shade as it has sparkle to add glamoor and diversity to smoky eyes.The shimmer present is non-gritty.However,non-availability is a major issue. 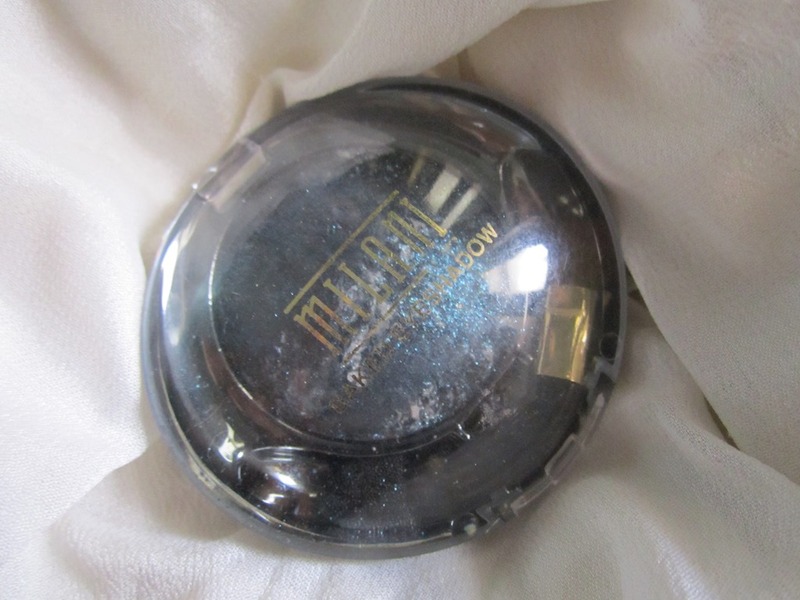 Milani Baked Eye shadow Marble- melange review and swatches. 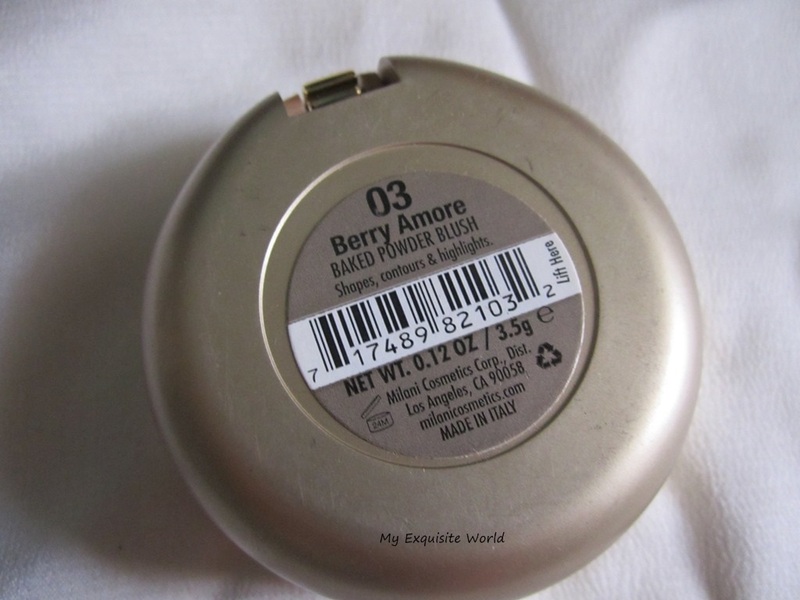 I have this eye shadow with me since a long time and I use it preferably for smoky looks as the shade and the sparkle in it is absolutely gorgeous and great for a 2-minute smoky look!! 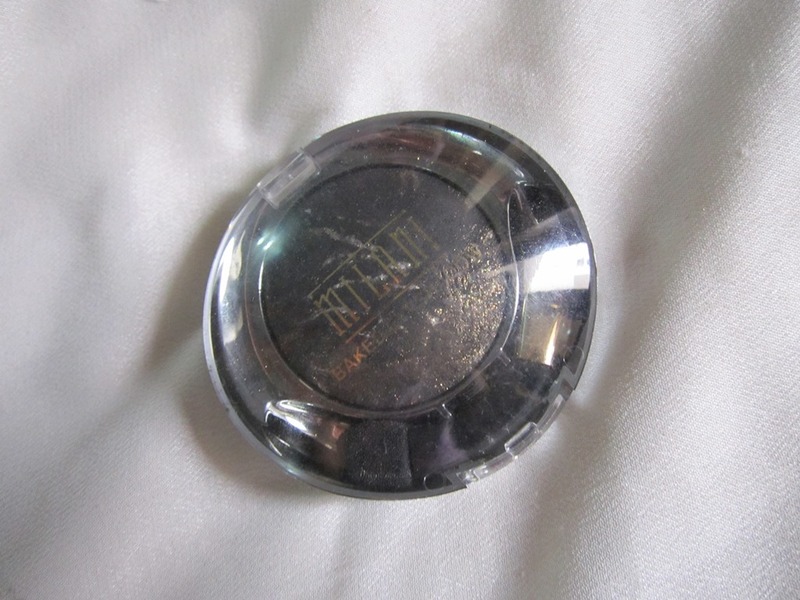 About the product-Captivating eyeshadow powder that features multiple infusion of colours baked on Italian terracotta tiles.All of these gorgeous combinations are designed to be used Wer or Dry. 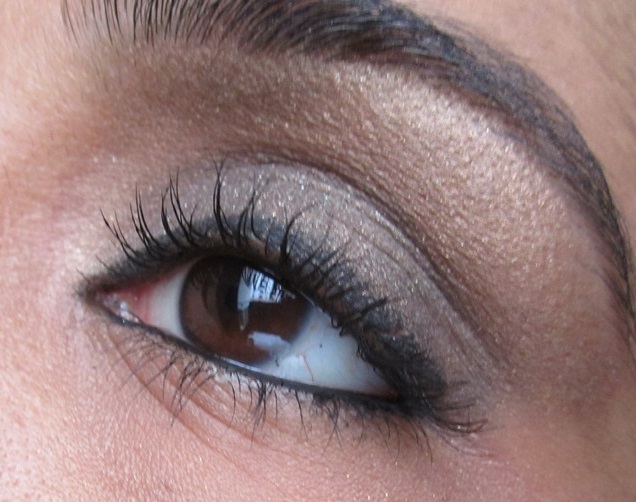 Tips and tricks: use dry for a silky smoth application of luminous color. Use wet for a lasting more intense color effect. 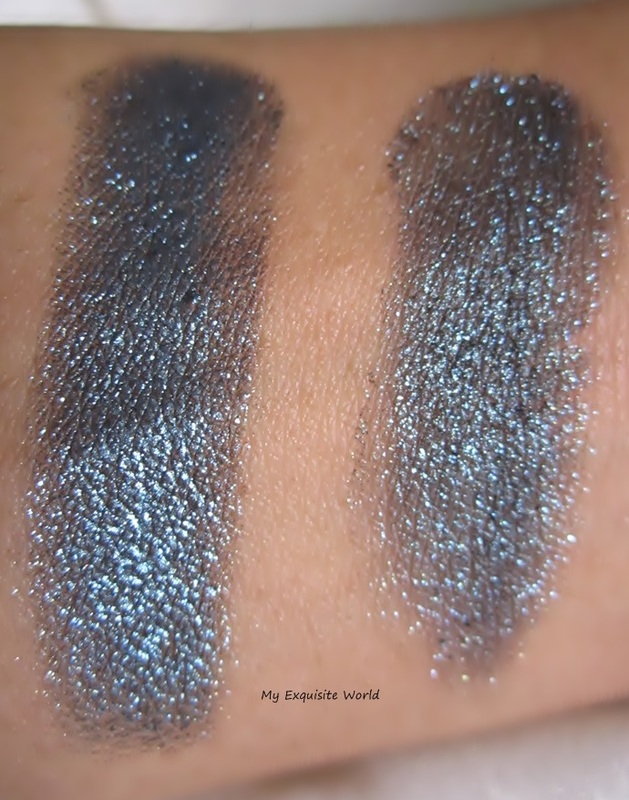 Shade-Milani melange is a gorgeous black shade having prominent gold sparkle adn less intense white sparkle. When used wet,it is absolutely gorgeous,deep color. 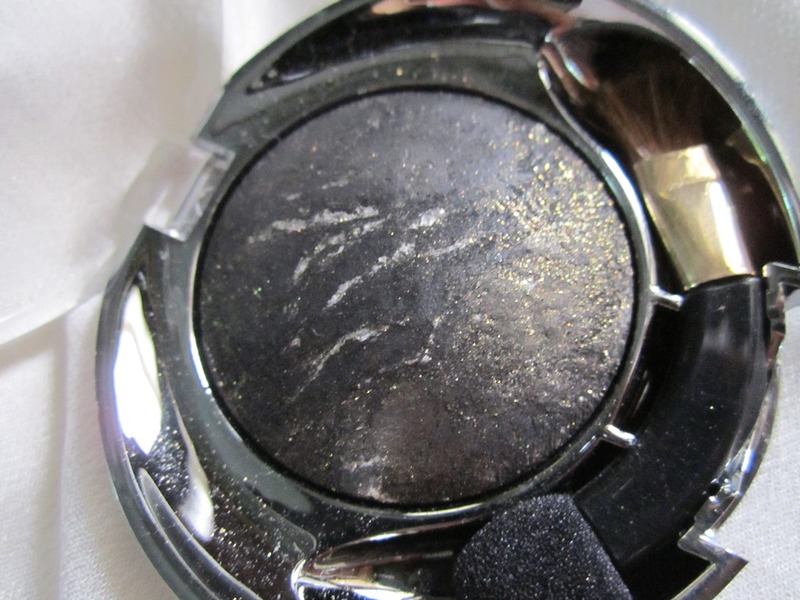 When used dry,it is less intense and provides a sheer color and has some fallout. 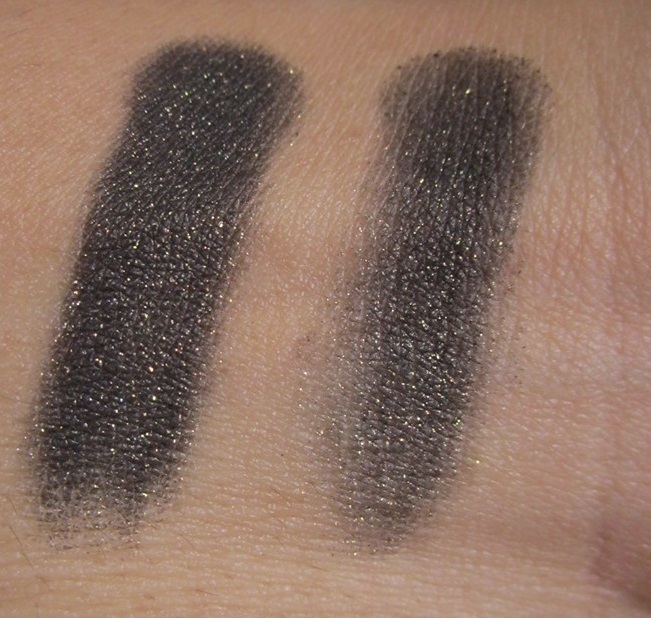 I love this color and find it really useful both as an eyes shadow as well as an eyeliner. 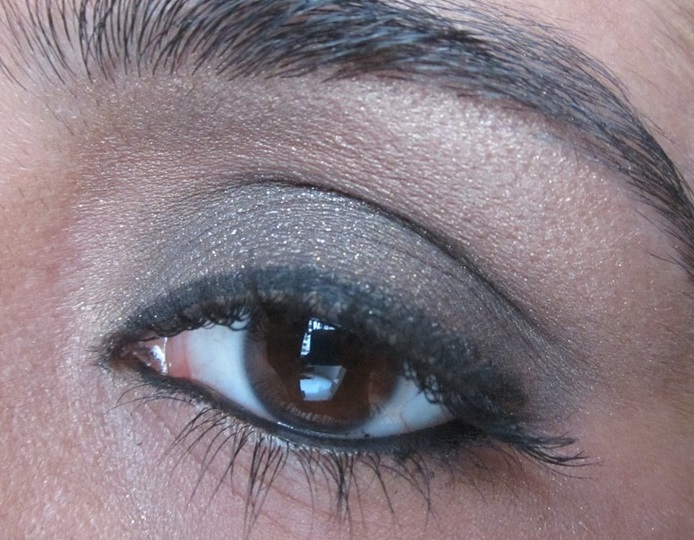 I have used it dry over a taupe base in the look so it is not looking very intense. 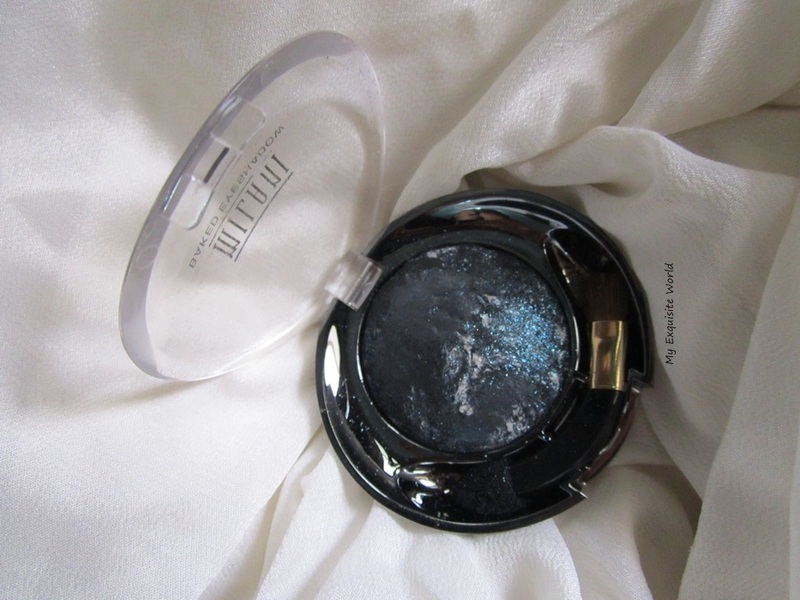 Recommendation- I love the shade as it has sparkle to add glamour to smoky eyes.This is one shade I can pick up and use for night outs and parties.The shimmer present is non-gritty.However,non-availability is a major issue. 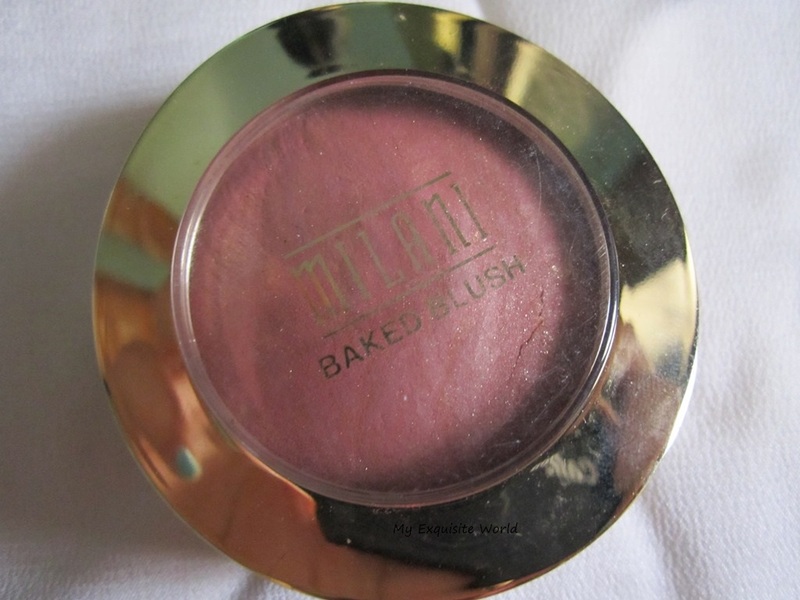 I have 3 of Milani Baked blushes.I was in love with them at first sight.Milani claims that these blushes are baked on italian tiles.They look really pretty with shimmer on them. 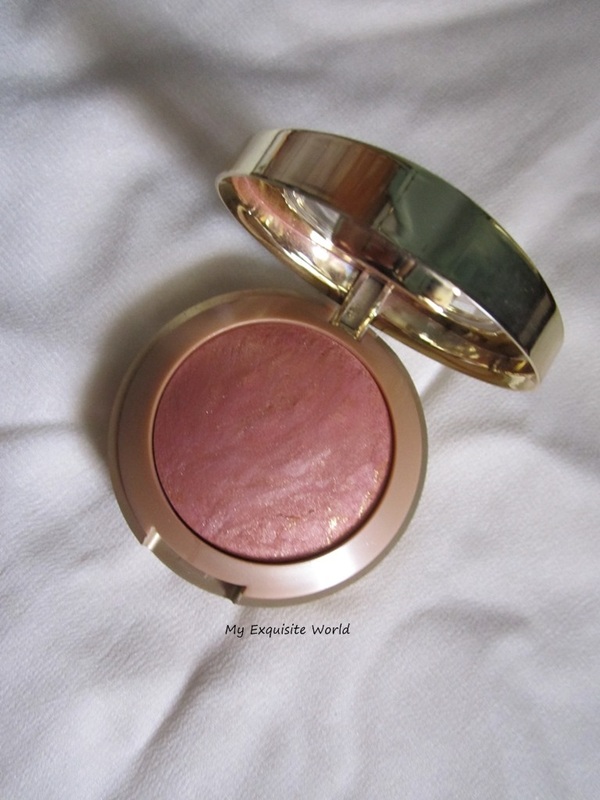 ABOUT:A luxurious powder blush that features a mélange infusion of colors baked on Italian terracotta tiles. Easy to use, sensorial in texture, the nuances of color become extraordinarily luminous. Silky smooth application leaves your face looking healthy and radiant all day. 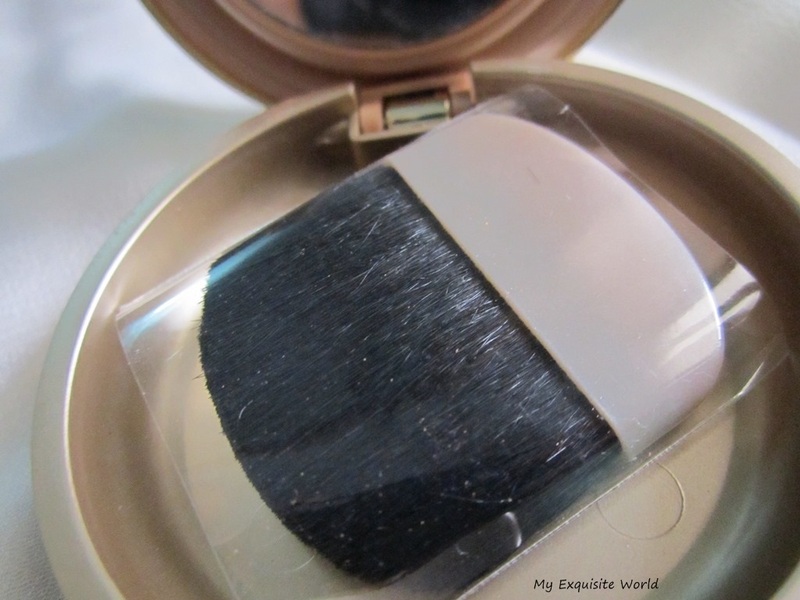 HOW TO USE:Glide brush through color and lightly tap off excess powder. Lightly apply to cheeks, forehead, chin and/or nose and blend well for a soft glow. INGREDIENTS:Talc, Glyceryl Ethylhexanoate/Stearate/Adipate, Nylon-12, Lauroyl Lysine, Cetearyl Ethylhexanoate, Octyldodecyl Stearoyl Stearate, Dimethicone, Isopropyl Myristate, Polyacrylamide, Sorbitan Stearate, Zea Mays (Corn) Starch, C13-14 Isoparaffin, Silica, Magnesium Aluminum Silicate, Laureth-7, Imidazolidinyl Urea, Sodium Dehydroacetate, Methylparaben, Ethylparaben, Propylparaben, Butylparaben. +/-May Contain: Mica (CI 77019), Titanium Dioxide (CI 77891), Iron Oxides (CI 77491, CI 77492, CI 77499), Red 7 (CI 15850), Ultramarines (CI 77007), Yellow 6 Lake (CI 15985), Yellow 5 Lake (CI 19140). 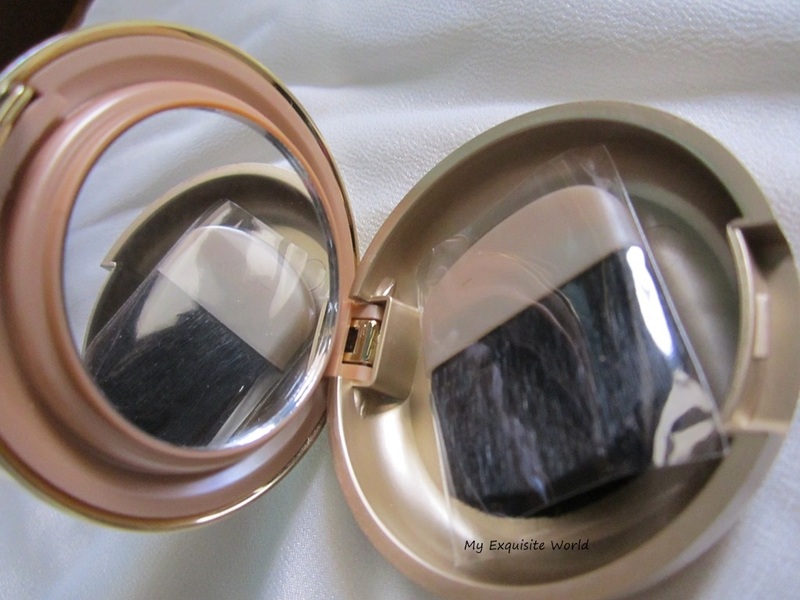 PACKAGING:The blush is housed in a golden round compact that has two segments.One has the blush itself and below the blush,there is one compartment for the mirror and blush brush.It is very similar to L’oreal true match blushes. SHADE:The shade can be described as pinky berry mauve with gold shimmer.The shimmer is subtle and noticeable on skin but it goes away after few hours of wear leaving behind the shade and sheen. 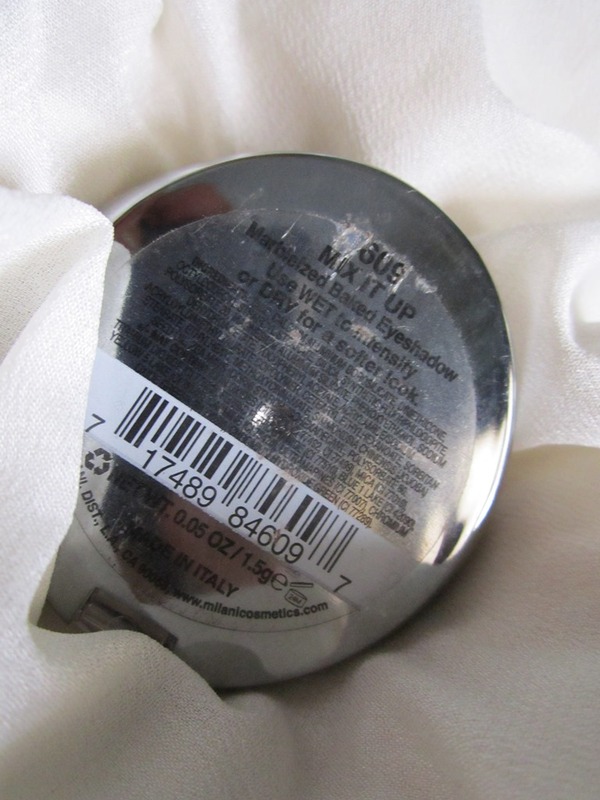 THE FORMULA:The texture of the blush is sift but not overly soft.It blends easily on skin and the shimmer present is not irritating.It doesn clog pores. The color payoff is great. 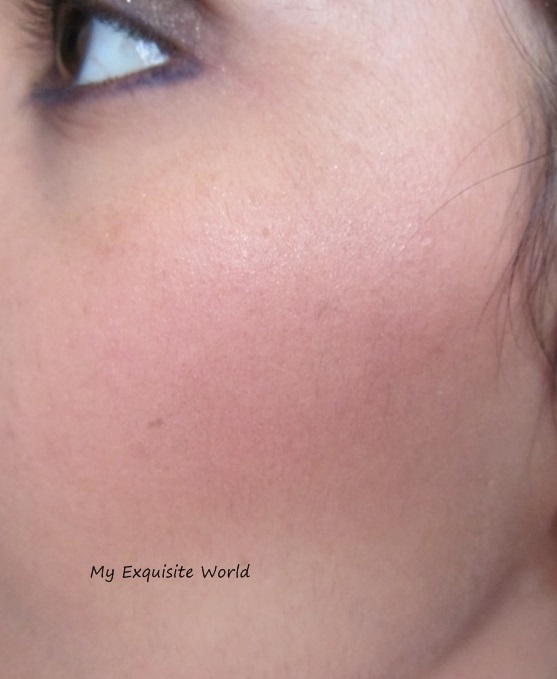 The blush is buildable.The shade is such that it will suit all skin tones. Staying power is around 5-6 hours in normal climate.However,i feel that the rising temperature in Delhi does decrease the staying power to around 4 hours. 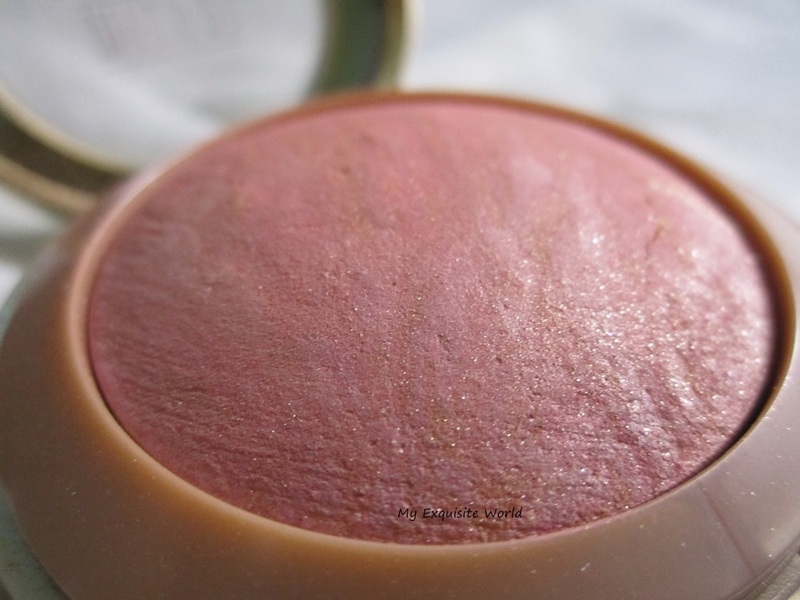 the blush is prone to breakage as the packaging opens on its own. the blush that comes along is of no use. the shimmer present fades away after some time. RECOMMENDATION: It is a great shade and dusky beauty will like it even more.If you can get hands over this,then do get it.